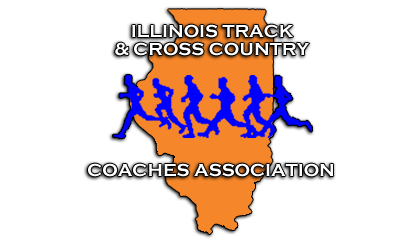 The Illinois Track and Cross Country Coaches’ Association proudly sponsors the scholarships to assist local student-athletes of Cross Country and / or Track and Field with their college expenditures. WHO CAN APPLY AND WHAT ARE THE EVALUATION CRITERIA? Senior athletes who are participating in an Illinois high school Track and Field and / or Cross Country program and who are planning on attending college or a career school are eligible for the non-renewable ITCCCA Scholarship of $2000. Four (4) scholarships will be awarded to two (2) boys and two (2) girls based on academic, athletic, and non-athletic achievements, as well as an original essay composed by the applicant. Applicants will additionally need to submit a letter of recommendation and an official high school transcript. Any and all questions regarding this scholarship should be directed to the George Dekan Memorial Scholarship Director. James Janota can be reached in the English Department at Neuqua Valley High School at (630) 428-6000, extension 4719, or via email at james_janota@ipsd.org. Step 2: In a detailed fashion, describe your five (5) greatest athletic achievements while participating in high school Track and Field and / or Cross Country. Step 3: In an equally detailed fashion, describe your five (5) greatest non-athletic achievements during your high school tenure. Step 4: Submit a letter of recommendation as provided by your high school Track and Field and / or Cross Country coach in which he / she explains your qualifications as a student-athlete and why you would be a worthy recipient of this scholarship. Step 5: Submit an official high school transcript as provided by your high school’s registrar or guidance counselor. BY WHEN AND TO WHOM IS THE APPLICATION DUE? All applications must be received by March 31! Any application received after the due date, regardless of postmark, will not be considered for the scholarship. Any requests for deadline extensions will not be granted, and digital submission are not accepted. A committee of ITCCCA members will evaluate the applications, and the winners will be contacted by no later than May 15.